Designer Janus Yaun has designed a compact, folding 3D printed bicycle, targeted at women, in a bid to get them riding. 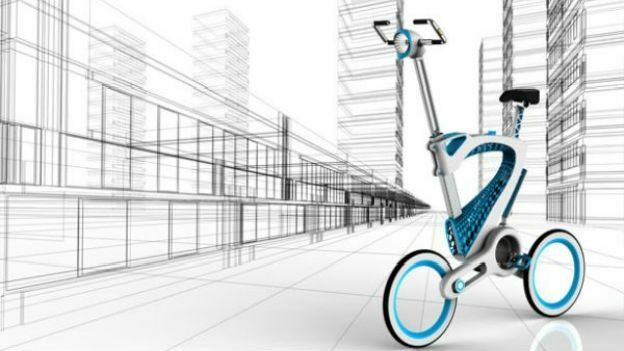 The brainchild of designer Janus Yaun, this cool-looking folding bike concept has been designed to get more women into cycling in built-up urban areas. Similar to the Gi Bike, the MORI is also constructed from 3D printed materials which keeps the weight down and makes it easier to carry. It's also foldable, and therefore better for storage in space-deprived big cities. What's more, using 3-D printing technology, potential customers could customise the bike to reflect their personality in colour, texture and even the structure of battery case. The MORI features a built-in battery that can take over when the rider needs some assistance and means that users can alter their riding gesture and along with their mode of power based on their abilities. Particularly useful is the ability to fold the bike into either a scooter or a trolley depending on your situation. It doesn't look like becoming a reality any time soon, but there are some more great images of the bike over on design site Tuvie.